Karamoja is an arid/semi-arid region -- 28,000 sq km in area, located in Uganda's north-east and inhabited by 1.2 million people distributed among 11 different ethnic groups (Sagal and Grade, 2012). The region has two rainy seasons and an intense hot and dry season from October to April. December and January are the driest months, typically with strong winds. The single rainy season peaks in May and July (Grade, 2012). Transhumant pastoralism is practiced in Karamoja, with men and livestock moving across the landscape in search of pasture and water during the dry seasons. tamarind trees bearing fruit signaling a bad year ahead. Sagal and Grade (2012) document Karamojong month names and meanings in their paper on 'Potential Tool to Support Climate Change Research in Karamoja, Uganda: Historical Month Names and Meanings'. They how that while the month names have not changed, the weather and climate indicators associated with these names have shifted for 10 out of the 12 months. For example, lomaruk or 'white mushrooms' is the name of a month for most of the Karamoja groups. This refers to a period in March or April when white mushrooms appear. The communities reported, however that since 1985, these mushrooms now appear in July and August. 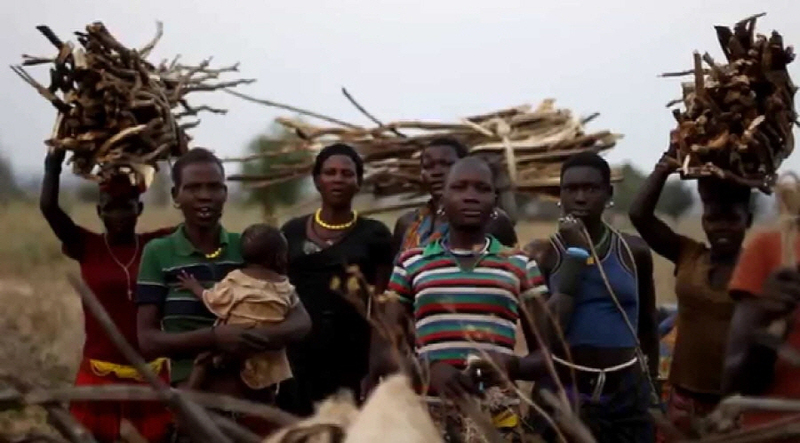 In recent years, the Karamojong community has become increasingly exposed to a variety of natural and man-made disasters, including floods and drought. Due to the combined effect of drought, flooding, conflicts and change in land use and land administration types, the traditional pastoral life of the Kamarajong is changing. The project will work among the Karamoja in Teso sub-region to document early warning mechanisms of weather forecasting. Ismael Ocen, the project holder is Karamojong and the Lobby and Advocacy manager of the Climate Change Adaptation programme of the Disaster Risk Reduction Platform for Teso. Grade, JT. 2012. Karamojon (Uganda) pastoralists' use of wild edible plants: A traditional coping mechanism towards Climate Change. n Gebrehiwot Berhe, M. and Butera, J-BClimate change and Pastoralism: Traditional Coping Mechanisms and Conflict in the Horn of Africa. Institute for Peace and Security Studies, Addis Ababa University and University for Peace, Africa Programme. Addis Ababa , p.34-55.